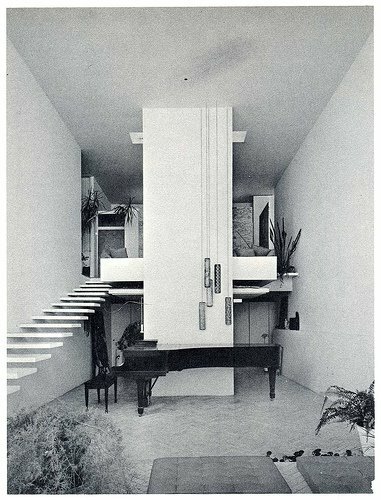 One could make a living chronicling the iniquities visited upon the work of Paul Rudolph (lord knows we certainly have). From modest tract homes to cutting edge office towers, the trail-blazing, highly influential architect’s work has not fared well of late. Of the handful already demolished, as many are on the chopping block, and it has become an ongoing struggle for the Paul Rudolph Foundation to protect what’s left. One of the better projects to come along was the expansion of Rudolph’s Art & Architecture Building at Yale, where he taught for so long. But it now turns out that that was not the only renovation of the great architect’s work going on in New Haven. 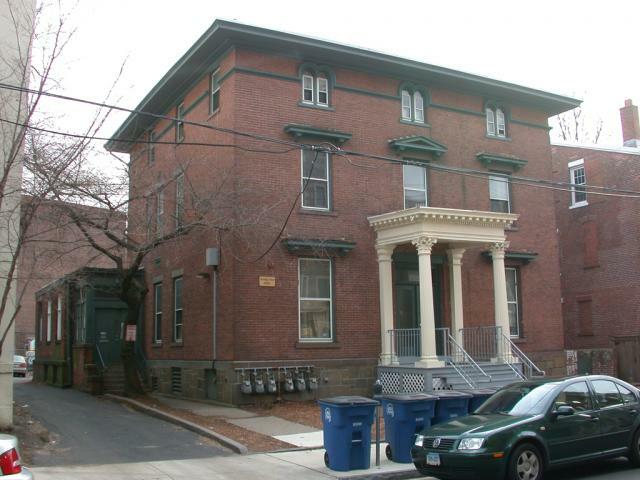 ArchNewsNow pointed us to a story in yesterday’s Yale Daily News about the Sigma Phi Epsilon fraternity’s renovation to what was once Rudolph’s own New Haven home. According to the YDN, the fraternity spent $25,000 bringing the house up to code, while eliminating–inadvertently or not–many of Rudolph’s signature design features, such as his customary cantilevered stair case. Matt Eisen ’10, the president of SigEp, said many elements of Rudolph’s original design had become safety hazards to the brothers living in the house and the students who flocked to the fraternity’s parties. “I wish we could make it safe and retain architectural elements, but we had to take cautionary steps before an accident actually happened,” said Eisen, the executive editor for the News, noting that most of the fraternity’s brothers are probably not aware of the house’s significance. The renovation project involved setting the stairs in sturdy steel frames with marble inserts, removing the fireplace and a platform on the ground floor — which Eisen described as “a tripping hazard that served no purpose,” — as well as stabilizing the balcony area that was nearly collapsing. Bob Esposito, the property manager SigEp contracted for the project, reiterated that the main goal of the renovation was to upgrade the house to current design standards. Through the various owners, and up until recently, many elements like the floating stairs were retained. A clearer example of which can be seen in Rudolph’s Halston Residence on 63rd Street for the famous Fashion magnate. Much like his 23 Beekman Place residence which would follow (and he would intervene into and out of for 30 years), this house was a work in progress and always up for alteration and innovation. And now we are obliged to make a snide remark about the thuggish clumsiness of the debauched Yalies who could not help but fall down the elegant stairs at parties, and thus defiled a modernist masterpiece. Except that Rudolph accolate, Yalie, and architecture school dean Robert A.M. Stern, in speaking with the YDN, does it for us.